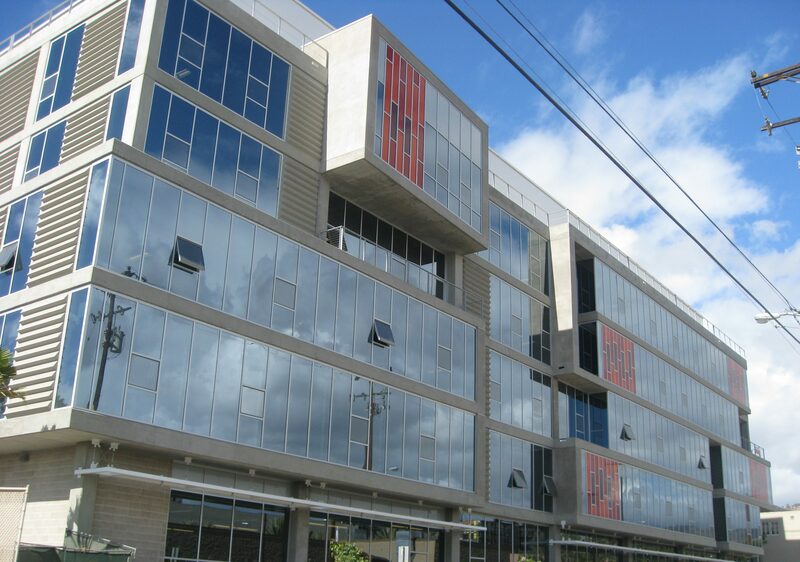 Risha Engineering performed structural engineering design and construction support for this new five-story, 120,000 square foot structure with a subterranean basement parking level. 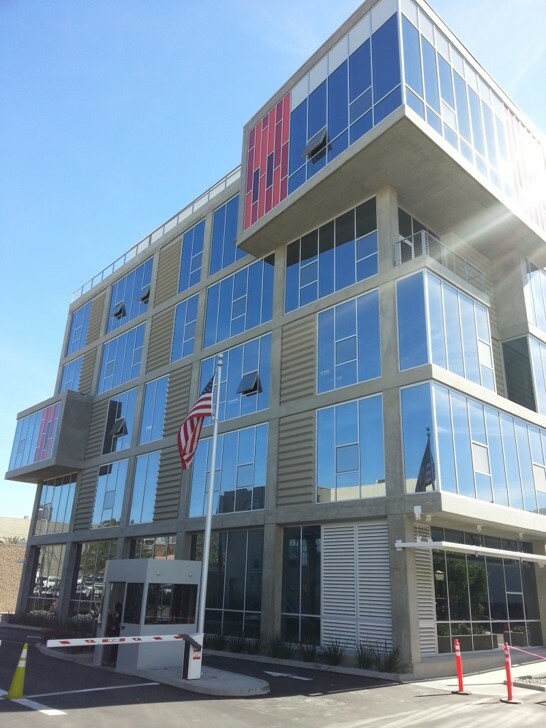 The facility is used for production offices and editing. The client’s requirements included the selection of an economical and efficient structural system to conform to the elegant and modern minimalist architecture. 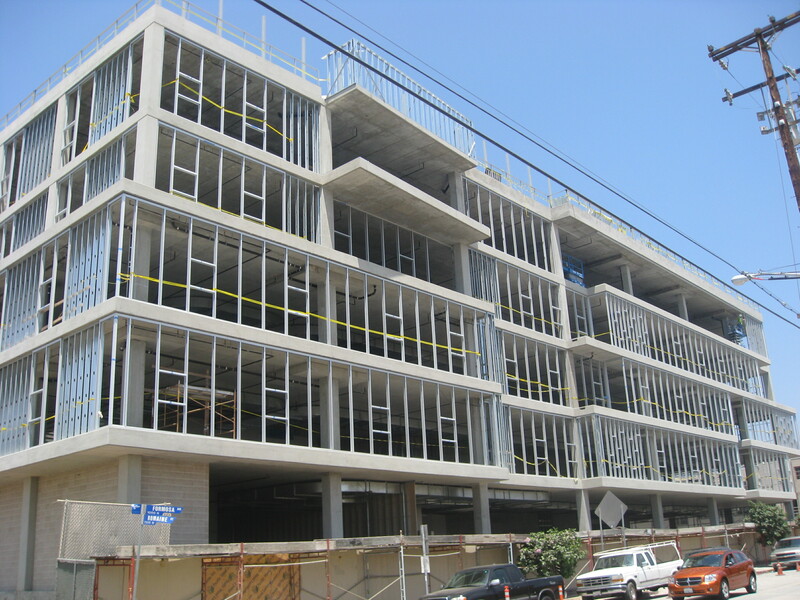 The gravity load system consists of two way concrete slabs for the roof and doors with concrete support columns and minimal interior concrete bearing walls. 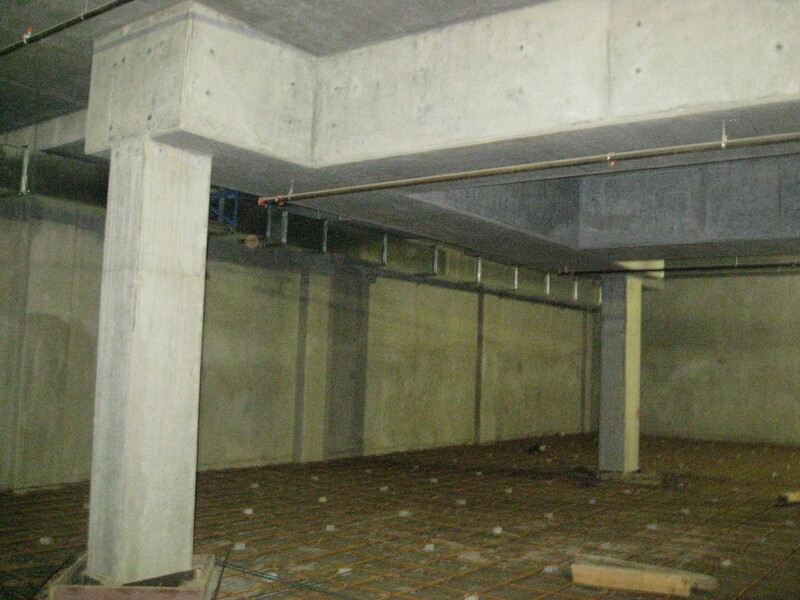 The lateral load resisting system consists of a series of concrete shear walls within the buildings core which accommodate the open floor plan spaces and provide for the maximum usable tenant layout. The building envelope consists of a large full height glass panel mixed with sporadically placed architecturally treated wall panels. This required minimally sized concrete columns which combine to create the modern feel of the exterior elevations and maximize the views within the leasable spaces.